While people in Castle Rock CO rely on their vacuum to keep their carpets and upholstery spotless, carpet cleaning services can take it to a whole new level. The truck mount equipment and specialized solutions they bring along are more effective than any do-it-yourself efforts. 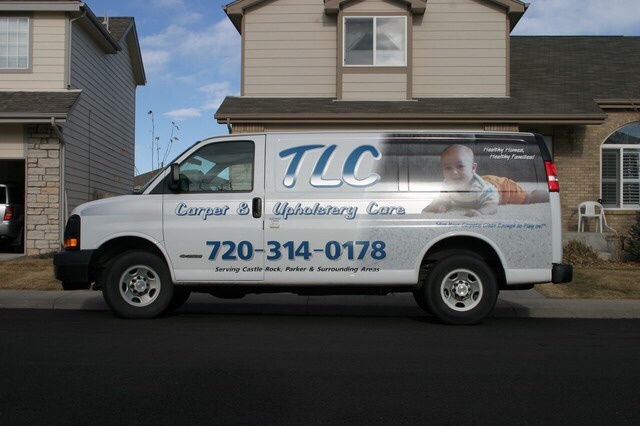 It is much more beneficial to allowing carpet cleaning professionals like TLC Carpet Care in Castle Rock Co to take on the chore, yet it truly comes down to the research prior to choosing the right one for the job. Not all carpet cleaners are equal in experience, performance, cost, or reputation. All aspects play a key role in overall customer satisfaction. The truck mount carpet cleaning advances and industry competition on the rise, many companies offer much more than a simple steam cleaning. The scope of tasks they perform will be dependent on the package or options chosen by the customer. Some may provide these extras free of charge to lure in additional clientele. Prior to the general washing, furniture movement as well as a deep vacuuming and spot removal treatment can be done to decrease the amount of dirt particles to be washed out. The method of the steam cleaning that TLC Carpet Care does can vary between carpet cleaning services. While some continue with the traditional chemical based process, many have opted to use a steam technique which provides a deep clean in a safe and environmentally friendly manner. The drying time can vary between methods, but industrial strength fans are commonly brought in to reduce it to just a few hours. Lastly, customers can add on a stain guard application to preserve the pristine appearance. Upholstered furniture and window coverings can be freshened up as well. Many homeowners in Castle Rock Co put such an involved chore on hold year after year with the intention of cleaning there own carpets, yet the task can easily be outsourced to maintain the look and condition of the carpets. More frequent carpet cleaning will prolong the life of the surface of the carpets while keeping the amount of dirt, germs, dust mites and other allergens to a minimum. This is especially helpful when those living within the space are affected by asthma or allergies. TLC Carpet Care has been the experts in this field. With such an abundance of carpet cleaners services in Castle Rock available it is important that careful consideration be taken prior to signing on the dotted line. Today the internet is a valuable resource for carpet cleaning when performing research on possible candidates as many reputable companies have their own website to provide helpful information. While perusing various sites it is important to look at each carpet cleaning company’s level of up to date training, employee experience, years in business, and the insurance and licensing they hold. While not always found on the company’s own page, customer reviews will give insight into the level of satisfaction received on prior assignments. When the list of prospects has been narrowed down, it is helpful to make verbal contact by phone. Carpet cleaners will allow for additional inquiries such as their pricing, the tools and other supplies they utilize, the methods they practice, and the packages and upgrades they offer. Many competitive companies will offer a free in-home walk through and estimate. The most suitable firm will back their performance with a warranty or money back guarantee if the client is not satisfied with the results. Whether it is carried out once a year or less frequently, the impact that carpet cleaning services can provide a home’s flooring is substantial. It freshens up the look and feel of the surface while making the space healthier for those inside. To save time and stress it is a job that is best left to a company with a good reputation and proven results.